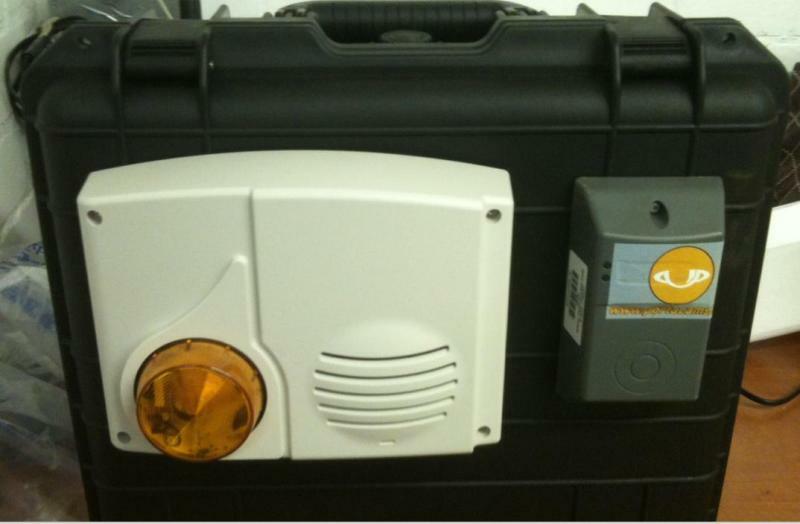 The MeerCam Outdoor Siren/Strobe Model SE is a battery operated, wireless combination unit designed for use in the MeerCam security systems. The unit consists of a sounder, strobe light, and S 2View® Spread Spectrum, interactive, encrypted wireless circuitry for secure two-way communication with the control panel. 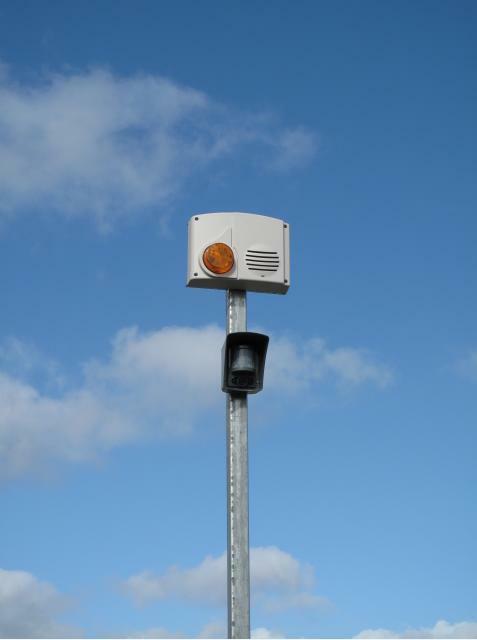 The MeerCam all weather outdoor siren produces an output level of 105 dB at 1 meter for three minutes, in alarm. The strobe light flashes four times per second for three minutes, in alarm. The unit is typically installed outdoors on the structure to help responding authorities locate the alarm site. 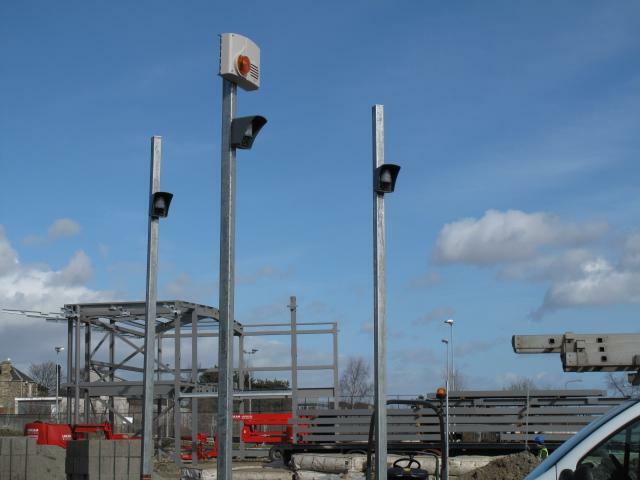 The unit should be mounted where it is protected from weather elements, at a height where intruders cannot reach to help prevent disabling the unit. A dual tamper function provides detection for both cover and mounting surface. The unit is powered by four alkaline batteries that can last four years, depending on the amount of siren/strobe activity. The unit transmits a check-in signal every eight minutes that includes its unique identification code, along with the tamper condition and battery status. S2View® - Spread Spectrum, Interactive AES Encrypted Wireless technology povides optimum signal integrity and security. Sounder - provides output of 105 dB @1 meter for up to three minutes, in alarm. Supervised - transmits a check-in/status signal every 8 minutes indicating tamper state and battery status. Dual tamper - provides detection for both wall and cover tamper. Alkaline batteries - four years. Applications - Visual and audible annunciation of alarms in Videofied ® security systems. Dimensions - 228.5 mm x 165 mm x 76 mm (LxWxD): 9 in. x 6-1/2 in. x 3 in. 4 screws secure unit base to mounting surface.